Valerie Reyna is the Lois and Melvin Tukman Professor of Human Development, Director of the Human Neuroscience Institute, and Co-director of the Center for Behavioral Economics and Decision Research. Her research integrates brain and behavioral approaches to understand and improve judgment, decision making, and memory across the life span. Her recent work has focused on the neuroscience of risky decision making and its implications for health and well-being, especially in adolescents; applications of cognitive models and artificial intelligence to improving understanding of genetics (e.g., in breast cancer); and medical and legal decision making (e.g., about jury awards, medication decisions, and adolescent substance use). She is a developer of fuzzy-trace theory, a model of the relation between mental representations and decision making that has been widely applied in law, medicine, and public health. Dr. Reyna is a member of the National Academy of Medicine (formerly the Institute of Medicine) and is a Fellow of the Society of Experimental Psychologists, the oldest and most prestigious honorary society in experimental psychology. She is also a Fellow of the American Association for the Advancement of Science, the Divisions of Experimental Psychology, Developmental Psychology, Educational Psychology, and Health Psychology of the American Psychological Association, and the Association for Psychological Science. Dr. Reyna has been a Visiting Professor at the Mayo Clinic, a permanent member of study sections of the National Institutes of Health, and a member of advisory panels for the National Science Foundation, MacArthur Foundation, and the National Academy of Sciences. 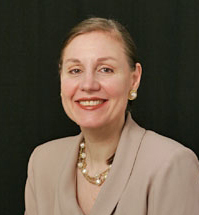 For example, she is on the Advisory Committee of the National Research Council’s Division of Behavioral and Social Sciences and Education (DBASSE) which oversees 10 boards and standing committees, and serves as the Chief Scientific Liaison and representative to the Federation of Associations in Behavioral and Brain Sciences of the Psychonomic Society. Taking a leave from academia, Dr. Reyna helped create a new research agency in the U.S. Department of Education, where she oversaw grant policies and programs. Her service has also included leadership positions in organizations dedicated to equal opportunity for minorities and women, and on national executive and advisory boards of centers and grants with similar goals, such as the Arizona Hispanic Center of Excellence, National Center of Excellence in Women’s Health, and Women in Cognitive Science (supported by a National Science Foundation ADVANCE leadership award). Dr. Reyna is the Editor of Psychological Science in the Public Interest and sits on the editorial board of such journals as Psychological Review, Decision and Journal of Experimental Psychology: Learning, Memory, and Cognition, leading journals in decision sciences and in psychology. Dr. Reyna has received many years of research support from private foundations and U.S. government agencies, and currently serves as principal investigator of several grants and awards (e.g., from the National Science Foundation and the National Institutes of Health). Topics: Judgment and Decision Making; Risk and Rationality; False Memory; Aging and Cognitive Impairment; Cognitive and Social Neuroscience; Developmental Neuroscience. Dr. Reyna’s research focuses on dual processes in memory, judgment, and decision making, on how these processes change with age and expertise, and on their implications for risky decision making in law, health, medicine, and neuroscience. She is a developer of fuzzy-trace theory, a theory of memory and its relation to higher cognitive processes. Reyna, V. F., & Zayas, V. (Eds.). (2014). The neuroscience of risky decision making. Washington, DC: American Psychological Association. Reyna, V. F., Croom, K., Staiano-Coico, L., Lesser, M. L., Lewis, D., Frank, J., & Marchell, T. (2013). Endorsement of a personal responsibility to adhere to the minimum drinking age law predicts consumption, risky behaviors, and alcohol-related harms. Psychology, Public Policy, and Law, 19(3), 380-394. Reyna, V. F. (2012). A new intuitionism: Meaning, memory, and development in fuzzy-trace theory. Judgment and Decision Making, 7(3), 332-359. Reyna, V.F., Chapman, S., Dougherty, M., Confrey, J. (2012) The adolescent brain: Learning, reasoning, and decision making. Washington DC: American Psychological Association. Reyna, V. F., Nelson, W., Han, P., & Dieckmann, N. F. (2009). How numeracy influences risk comprehension and medical decision making. Psychological Bulletin, 135, 943-973. Lloyd, F. J., & Reyna, V. F. (2009). Clinical gist and medical education: Connecting the dots. Journal of the American Medical Association, 302(12):1332-1333. Reyna, V. F. (2008). A theory of medical decision making and health: Fuzzy-trace theory. Medical Decision Making, 28, 850-865. Reyna, V. F., & Farley, F. (2006). Risk and rationality in adolescent decision making: Implications for theory, practice, and public policy. Psychological Science in the Public Interest, 7, 1-44. Reyna, V.F., & Lloyd, F. (2006). Physician decision making and cardiac risk: Effects of knowledge, risk perception, risk tolerance, and fuzzy processing. Journal of Experimental Psychology: Applied, 12, 179-195. Reyna, V.F. (2004). How people make decisions that involve risk. A dual-processes approach. Current Directions in Psychological Science. 13, 60-66. Editor, Psychological Science in the Public Interest. Editorial Board, Psychological Review, Decision, Psychonomic Bulletin and Review, Journal of Experimental Psychology: Learning, Memory, & Cognition, Journal of Behavioral Decision Making. Advisory (steering) Committee, National Research Council's Division of Behavioral and Social Sciences and Education, National Academy of Sciences. Member, Editor Search Committees for Decision and for Neuroscience, Psychology, and Economics. Chief Scientific Liaison, Governing Board of the Psychonomic Society. Chair, Communications Committee and the Diversity and Inclusion Committee, Governing Board of the Psychonomic Society. Network Scholar, MacArthur Foundation’s Law and Neuroscience Network. Editorial Advisory Board, Biennial Bronfenbrenner Conference Series. National Advisory Board, Center for Learning and Human Development, Miami University. Director of Central New York outreach programs for risk reduction and obesity-prevention in youth. Much of my research, editorial, and committee service is aimed at ensuring that scientific research is translated for the betterment of society. I apply non-traditional (as well as traditional) pedagogical approaches to engage students in high-quality scholarly activities, integrating challenging research with engagement in important social, economic, and health issues, including community outreach.